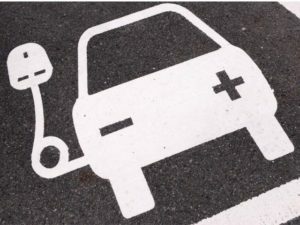 The Energy Networks Association (ENA) has introduced a new standardised process that will cut the paperwork required for chargepoint installations. The reforms announced by Distribution Network Operators (DNOs) will enable more mass installations by chargepoint installers by introducing a new, standardised process for all types of properties and businesses, including, for the first time, commercial properties. As it stands, installers need to complete a range of different forms and meet different requirements in order to inform them of a new installation. The Renewable Energy Association (REA) welcomed the move. Daniel Brown, police manager and EV lead at the REA, commented: “What’s key now is to build on this process and for the networks to work towards an app-based system so installers and developers can get extremely rapid decisions on the maximum demand of a site and permissions, where appropriate, to connect. Others in the sector are starting to incorporate artificial intelligence and big data analytical solutions and this could be way to address this issue. EV charging company Engenie also said the announcement represents a significant step forward in simplifying the roll out of rapid EV charging infrastructure but said remains “just one piece of the EV jigsaw”.